Sunny with highs in the 70s on Saturday, not quite as promising on Sunday, but we’ll see. Sounds like a decent weekend forecast for enjoying the outdoors in any number of ways. Spring Hike, Saturday, 1 p.m. Pettigrew State Park, Creswell. Pettigrew State Park, Pettigrew State Park … . We can hear the gears of confusion now. If you haven’t heard of Pettigrew, it’s likely because of its off-the-beaten-path location: it’s south of Creswell, which is west of Columbia, but east of Plymouth, which is just beyond Williamston, which — well, you get the idea. 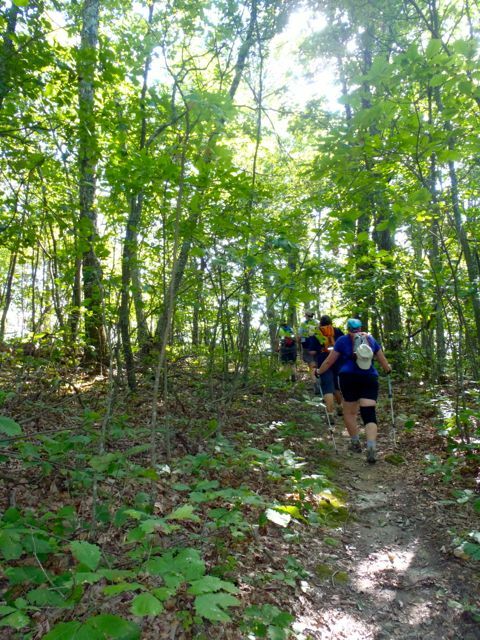 In short, it’s a bulb of land that’s between Albemarle and Pamlico sounds, and it’s got some of the oldest and biggest trees in the state, which you’ll be able to see on this flat-and-easy 5.6-mile hike. Learn more here. Luther Rock Nature Hike, Sunday, 2 p.m. Mount Jefferson State Natural Area, West Jefferson. Hike with a ranger to the amphibolite outcrop area known as Luther Rock. Check out the views, get some fresh air and learn what “amphibolite” means. Learn more here. Spring Wildflowers on the Flat River, Sunday, 2 p.m. Every Sunday in the spring the Eno River Association takes folks out for what may be the most informative two hours of hiking around. On this trip, for instance, you’ll check out the spring wildflower bloom as well as “the bedrock geology, soils and soil chemistry, geomorphology and fluvial processes, and cultural history of the site, which also happens to straddle the Indian Trading Path.” Whew! For information on meeting place and more hike details, go here. GetHiking! 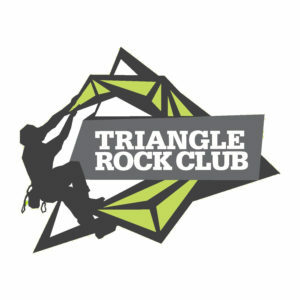 Charlottesville: Trayfoot and Paine Run Circuit,Saturday, 8:15 a.m. Strenuous. 9.6-miles. 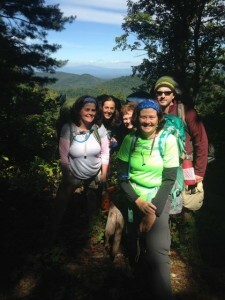 Hike highlights: Blackrock Gap, Appalachain Trail, Blackrock Summit. Learn more here. GetHiking! Charlotte: Panthertown Valley,Sunday, 9:30 a.m,. Easy to moderate. 7 miles. Learn more here. GetHiking! Charlottesville: Beagle Gap to Calf Mountain Shelter,Sunday, 9 a.m. Barracks Road Shopping Center, Charlottesville. Moderately easy. 5 miles. Learn more here. This week, you literally can live the video. It’s from a scouting trip Wednesday of our last Winter Wild hike of the season, a section of Duke Forest’s Korstian Division. The hike hike is Saturday at 10 a.m., and is 4.5 miles. 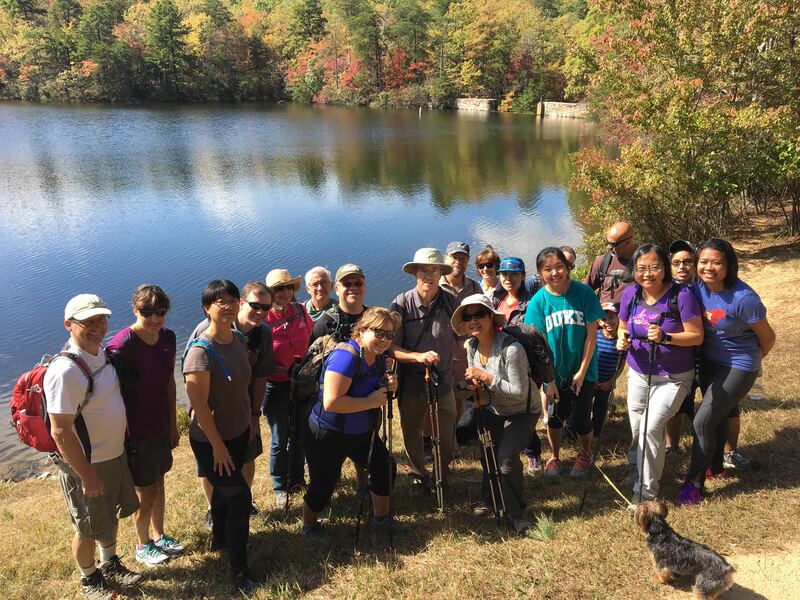 If you’re interested in joining us, email joe@getgoingnc.com for details.